After Saturday’s sunshine, yesterday was a washout. Pity, as we’ve now lost the momentum of weeding and tidying (Matt was going to re-felt the shed yesterday). According to Gardener’s World I should be mulching my autumn raspberries to keep the weeds at bay: another thing to add to the list. 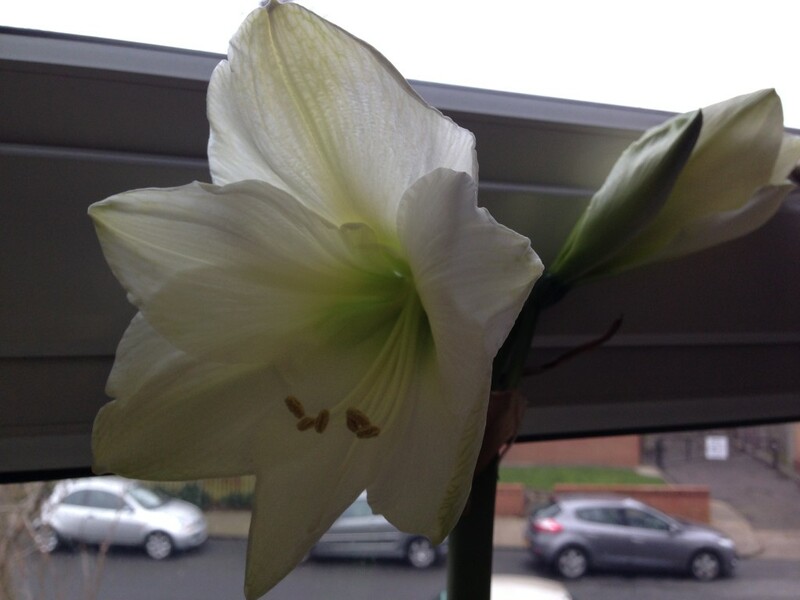 Meanwhile last year’s amaryllis is in bloom again. Bulbs are such a miracle: that so much life can be contained in such an unpromising papery shell. This morning I flipped over a postcard which I saved from the first amazingly warm spring weekend of 2014. I was in Sussex on a yoga retreat, surrounded by singing birds, bobbing daffodils, catkins and primrose. Turned out that it was a year ago today! That weekend marked the true start of the calendar year for me. March, the month of hope and new beginnings. 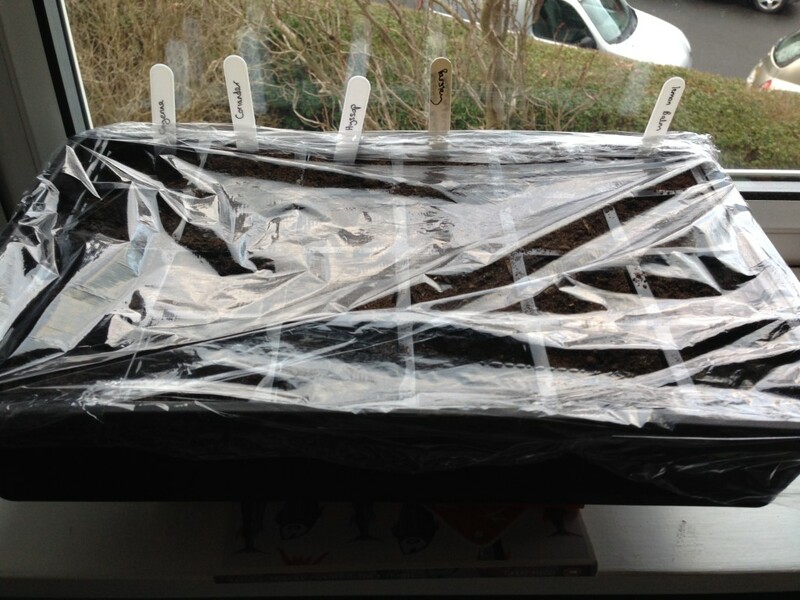 Planted for windowsills: Sunflowers, viola, winter lettuce mix, cayenne chilli, hyssop, parsley, coriander, radish, cat-nip, leeks, lemon balm.